Britain faces a compressed timetable to pass all the laws it needs to get ready for Brexit, a spokesman for Theresa May said, as the UK's Prime Minister headed to Brussels for an EU summit which should confirm that talks on the UK's exit from the EU can move on. The comments came after an embarrasing loss in Parliament on Wednesday night, when lawmakers defeated the government on proposed changes to its EU withdrawal legislation. It's the first time that the UK Prime Minister has lost a vote on her own business and many claim that it will hamstring the government in Brexit negotiations. A number of ruling Conservatives voted the government as MPs narrowly voted in favour of an amendment to demand Parliament pass a separate bill to approve any final deal with the EU. "This is a very specific amendment which would compress the time we have to pass secondary legislation under Clause 9 in time for Brexit day, when the withdrawal agreement comes into force, so we now need to consider if further changes are needed," the Downing Street spokesman told reporters. 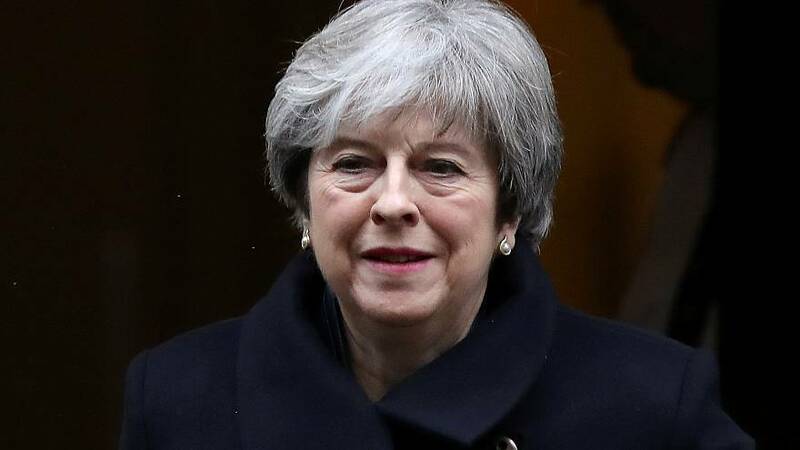 Theresa May had already conceded that MPs would have a "meaningful vote" on the final proposal, but there were concerns that elements of the withdrawal from the bloc could begin before the vote and therefore without their consent. This amendment will enshrine the vote into law. This could, in theory, allow MPs to send May back to the negotiating table if they do not like the deal. At a dinner in Brussels, the prime minister is expected to urge European Union leaders to approve an agreement to move Brexit talks on to discussing future trade relations, seen as crucial to offering certainty to business. The 27 other EU leaders are all but certain to approve the deal, which was sealed last Friday after an initial draft had been blocked by May's Northern Irish allies in Parliament. EU negotiators have said the talks have made "sufficient progress" on priority issues. In a non-binding vote, the European Parliament passed a motion on Wednesday giving its approval for the Brexit talks to move on. Brussels is willing to start talks early next year on a transition period of roughly two years, following the UK's departure at the end of March 2019. May and her cabinet are due to hold a discussion next Tuesday on the type of deal Britain should seek with the EU, which could prove difficult given ministers' differing views on the UK's future outside the union.